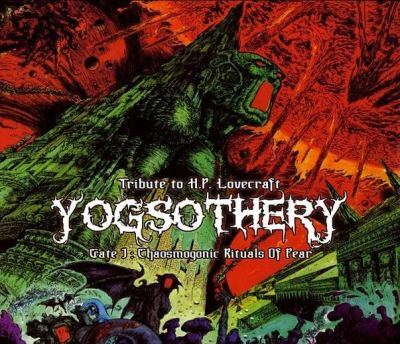 Yogsothery-Gate I is the first opus of a thematic compilation about the universe of H.P. Lovecraft. 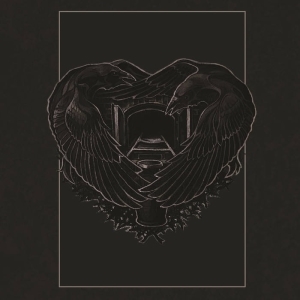 What we have here is a thematic compilation released by I, Voidhanger , a new Italian label (or more precisely, a sub-label of Aeternitas Tenebrarum Music Foundation - ATMF) apparently focusing on Black and Doom Metal. There are three things to be said here for an introduction. First, as the name indicates, the compilation is based on recordings inspired by the work of Mr. H.P. Lovecraft, arguably the Doom writer par excellence, which, despite the quite frequent use of his name for Metal and Industrial releases, gives something monumental and specific to be taken up. Second, the CD was compiled and managed by Len van der Wolf, a person to be somehow notoriously known from being initially associated with the Ashes to Ashes, Doom to Dust festival and the Comaworx label project. Leaving the controversies aside, it is somewhat nice to see that some of these projects are well able to reach a material manifestation. 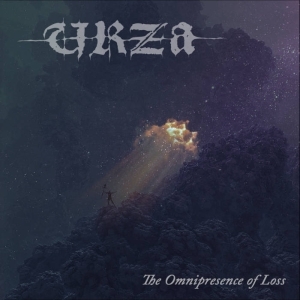 And third, perhaps on a more personal note, seeing the bands Aarni, Umbra Nihil and Caput LVIIIm (that is, a Malasangre side-project) on a single release makes one recall memories of the times when the Aarni/Umbra Nihil split and ’The Church of the Flagellation’ tape were some of the most obscure Doom metal releases to be found out there. 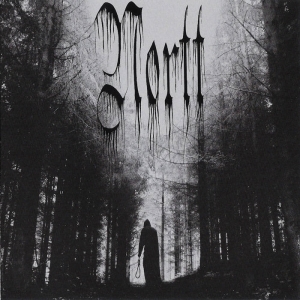 The compilation opens with a 25-minute track by Jääportit, a dark ambient / darkwave project from Finland and, while it is the least 'Metal' track on here, it surely offers some Lovecraftian atmospheres of gloom-and-doom through obscure soundscapes and voices organized in layers around a lead synth. Here, Jääportit are not afraid (compared to other projects such as Vinterriket) to display invention and playfulness that one might have already had experienced on excellent albums such as ’Avarrus’ or ’Uumenissa’ and that makes the project a standout in the genre. For sure the release could not find a better invocation of an atmosphere of out-of-space colors. While ever since their split released on Firebox records, Umbra Nihil and Aarni have taken paths of developing their tunes in ways peculiar to each project, the two tracks, both about 10 minutes in length, are genre-wise probably the closest on the compilation and offer a slab of psychedelia and Space-Rock-inspired Doom that stretches from some Stoner-sounding riffs of Umbra Nihil to the Aarni’s almost registered trademark use of provocative disharmonies - this time some bizarre flute/keyboard sounds which are followed by the entrance of some really heavy guitars at mid-track. Caput LVIIIm is a one-off side project of the bands Malasangre and Tronus Abyss, and after 22 minutes of obscure Finnish doomy Lovecraftian hallucinations, the listener is grounded by a heavy slab of monotonous, blackened, regressive Funeral Doom with mid- to high-pitched shrieks that amounts to a bit less than half an hour. Hardly much to object, the band is able to deliver some top-notch quality (although the production is perhaps the most “lo-fi” on the compilation) and definitely can't disappoint those like the review’s author who are waiting for another Malasangre offering, to be out somewhen this year on the label. Overall, this is one of the best compilations I've come across over the last few years, especially due its thematic cohesion, the quality and uniqueness of the artists offering their goodies and the good job done with the editing and choosing of the artwork. The next nice thing to hear is that there are two more ’Yogsotheries’ waiting to see the stars to be right and that not all Doom that proceeds slowly doesn't deliver. And one last remark: while the booklet warns about listening to the record in a sober state, it is to be noted that some of its effects are able to crush a soul even through the hazardous mode of drug-free use.